Creative Building Redefined. At least, that's what 15-year-old me came up with when I needed a tagline for my newly formed company. Mithrintia was essentially one big accident. One day, I was just playing Minecraft, trying to replicate Virginia Tech's Lane Stadium, which I had recently visited for the first time. The next, I was running a company with 20+ independent contractors all designing structures, landscapes, and organisms within the game that were selling for real money. Kind of blew my mind then, and it absolutely still does today. In slightly more specific terms, Mithrintia was started in 2011 on a multiplayer server in Minecraft, by a group of passionate individuals who wanted to show what type of amazing creations could be made within the game. Throughout 2011 and 2012, Mithrintia grew into one of the prominent creative collectives in the scene, and by 2013 had grown dominant over the scene through partnerships with Hypixel, the world's most successful multiplayer server, and other major entities and YouTubers. The team has been lucky enough to take in many of the Minecraft world's most talented designers, including those who later went on to start their own organizations, resulting in groups you might recognize today as BlockWorks, Athion, the Hypixel Build Team, and more. Individuals we were lucky enough to work with include YouTube personalities such as TheSyndicateProject, CaptainSparklez, the Yogscast, SkydoesMinecraft, JeromeASF, Vaecon, and more. At one point, I was even personally allowed the privilege to make a presentation for the American Institute of Architects, and speak on my own panel at the official Minecraft convention, Minecon 2013. Finally, in 2015, Mithrintia as a production and design team was shut down. Although I stuck around in the scene enough to occasionally lend a voice to ongoing projects and discussions, I am essentially retired from the scene - a funny term for me to use as a twenty-two year old about to graduate college. Regardless, Mithrintia proved to probably be the most productive project I've ever undertaken. It taught me countless lessons from its variety of experiences, and I wouldn't trade my attempt at trying to run an online business for anything. Hopefully, viewing this page and learning a bit about what it was like and what we did can bring you some portion of the pleasure I experienced working on Mithrintia. 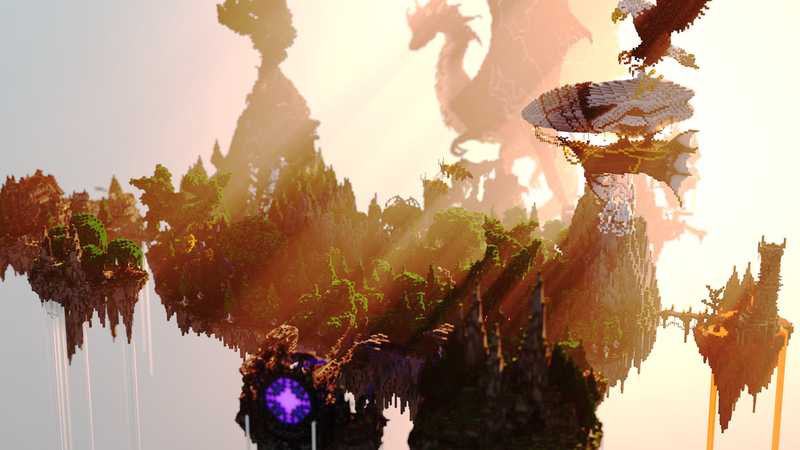 Minecraft is Mithrintia's original project, and lifelong devotion. We still believe creative building within Minecraft to truly be an art, and we still support those who continue to create today. From the smallest servers and our original Byodo-In Temple to massive projects commissioned by Disney or our Valneria Islands project, we've helped Minecraft grow from the smallest of grassroots communities to a much larger, successful industry that thousands have made their passion. From June of 2011 to May of 2015, Mithrintia focused primarily on the creation of high quality creations within Minecraft. 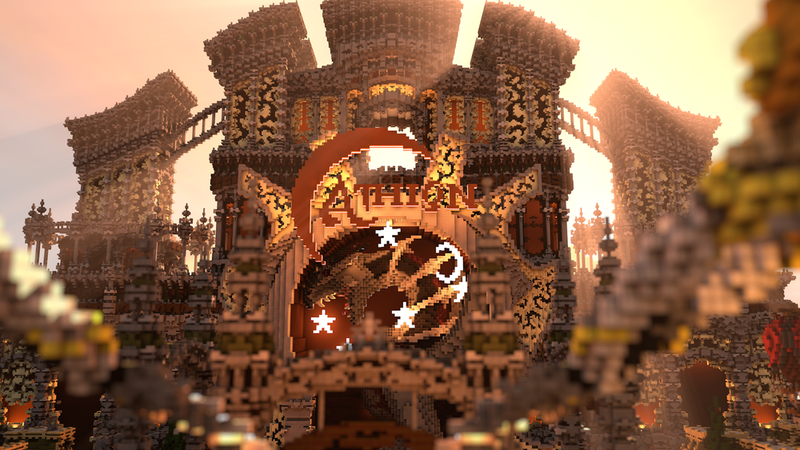 Working with some of the most talented builders in the business, some of the most iconic and influential builds in the game's history were made on the old Mithrintia public server. Check out some of those creations here! 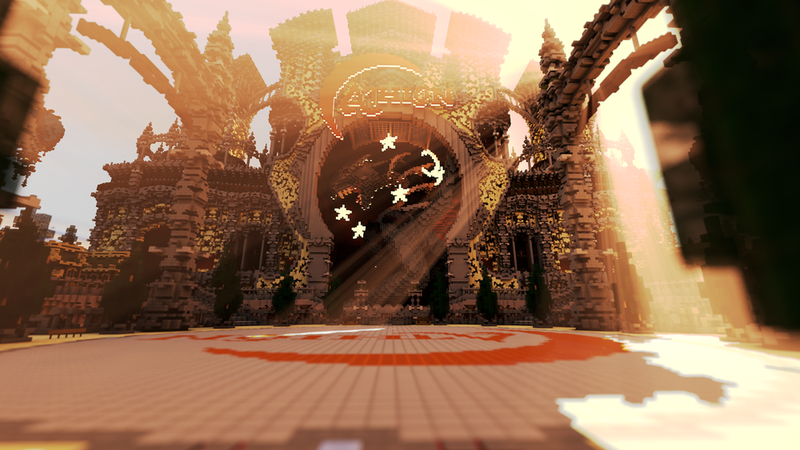 Throughout Mithrintia's duration, we assisted the Minecraft community with hosting several public contests and events. Most of these contests were through the community site PlanetMinecraft, in which every user on the site was able to enter a project of their own design based on a theme decided on by ourselves and the website representatives. These contests were incredibly successful, with hundreds of entries in each one of the series. You can check out many of these contests through clicking on the images below. We at Mithrintia also had the opportunity to help out with the event organization of YouCube, a fan-run convention held in NYC during the summer of 2014 following the collapse and subsequent cancellation of the unrelated Mine-O-Rama convention, and the controversy following it. YouCube attracted the attention of the Minecraft community, and we ended up hosting over 1500 people at the Metropolitan Pavilion in lower Manhattan! Mason Borges and I even had the amazing opportunity to help out with the running and organization of this convention, with Mason coming up with the name and helping with the graphic design for the convention! You can check out a brief montage of that convention below; keep an eye out for myself and Mason in the video!